**This video was shot and edited by two of our very own students…. so cool. Quite a few people have asked me about our One Night events. In all honesty they are pretty simple. Our church runs off of 7 main values, evangelism being one of them. Our senior pastor believes the best evangelism is one-on-one through personal and intentional relationships. 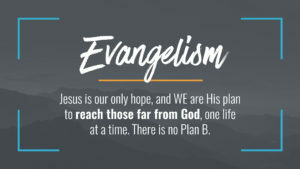 He introduced our church to this idea of having a “one-life”, someone who does not know Jesus and as we interact, care for, do life with them we are to expose them to the Gospel. So we introduced this big time in our student ministry. Everyone should have a “one-life”. One Nights are nights designed for our students to be intentional to invite their friend who does not “do church” to come to church and hear the Gospel. We put on some sort of event in which student could feel comfortable to invite a friend to and we just step back and watch God work. Do we tell our students to bring their friends always? Of course. But these nights (3 a year) give easy and tangible steps for students to step out and ask a friend. I just know students always show up and they invite friends and has started a pretty cool invite culture in our ministry.